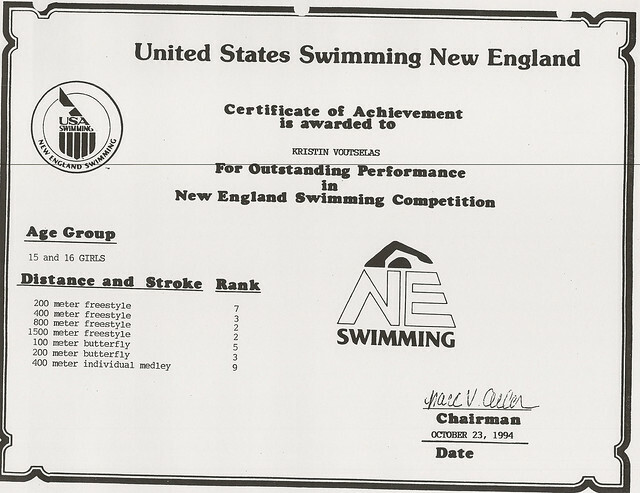 Competing year-round in the demanding world of the U.S. 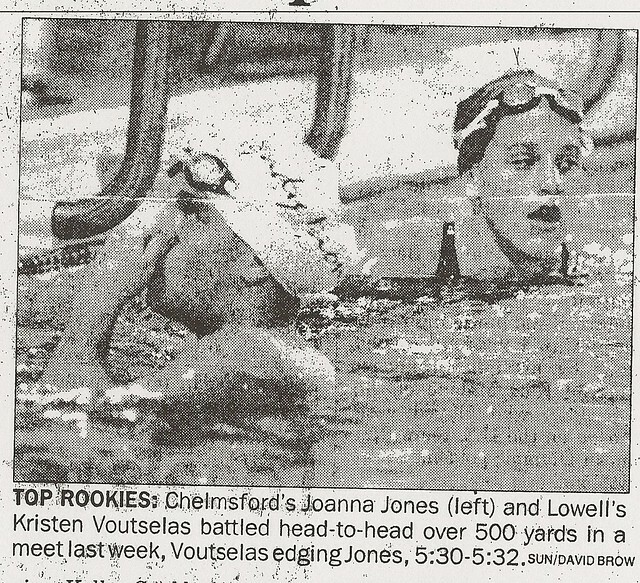 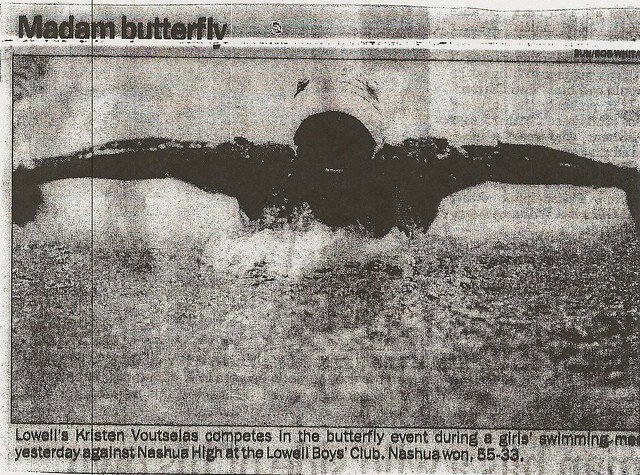 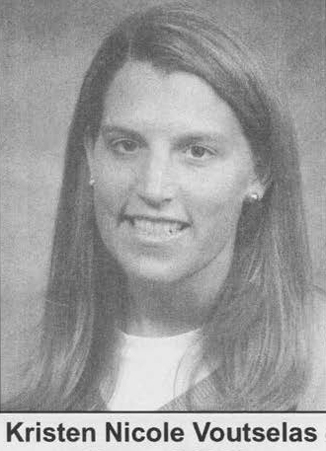 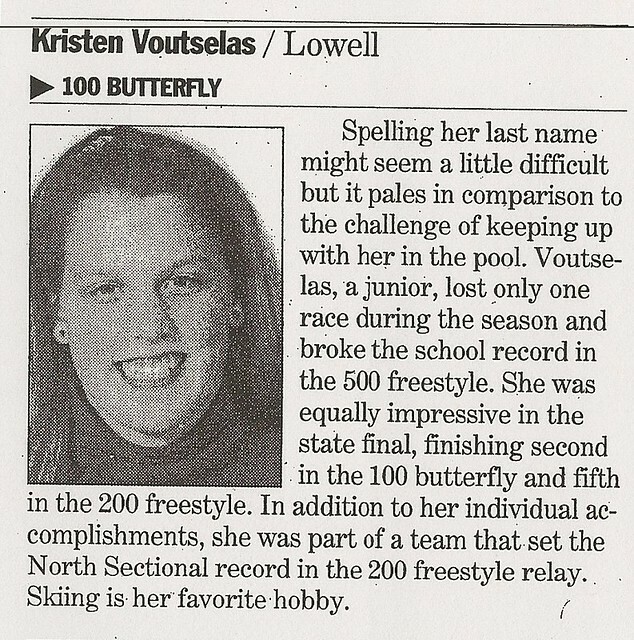 Swimming Program, Kristen Voutselas developed into one of the most accomplished and versatile performers during the golden years of the Lowell High girls swimming program during the late 1980’s and early 1990’s winning honors at the local, conference and state level along the way. 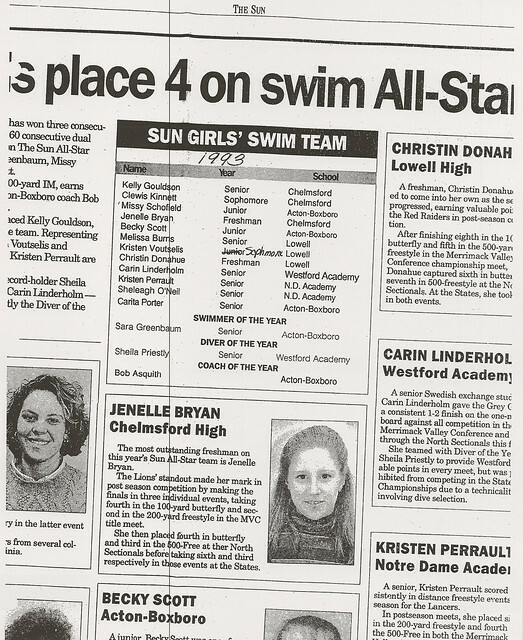 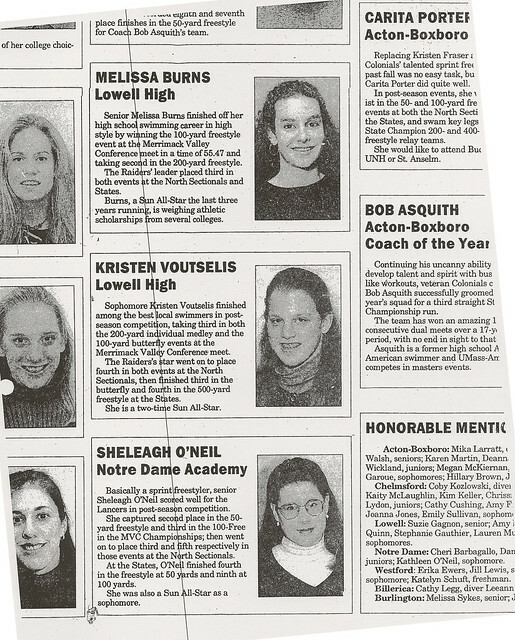 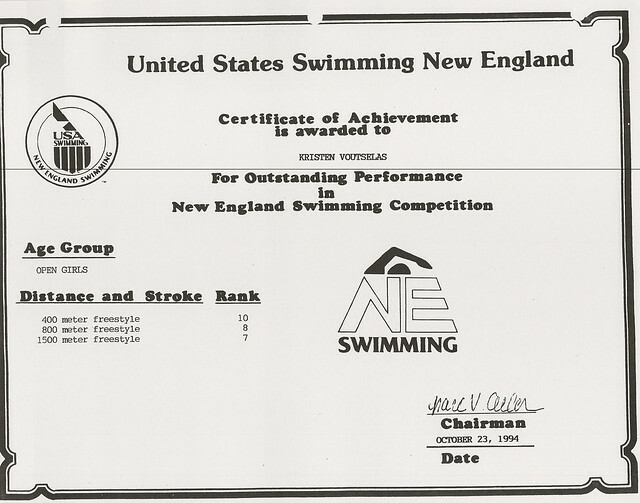 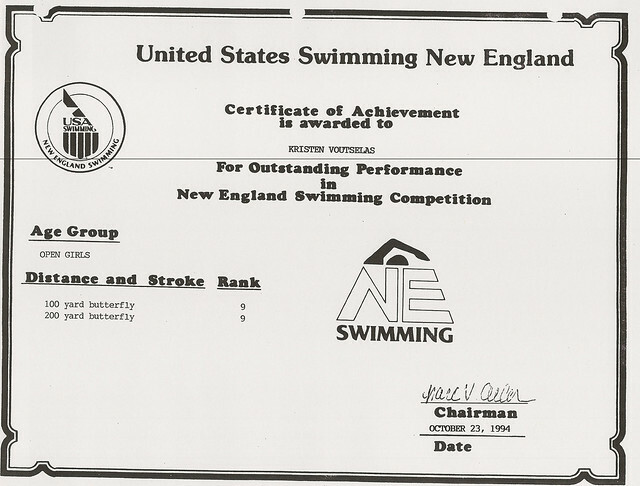 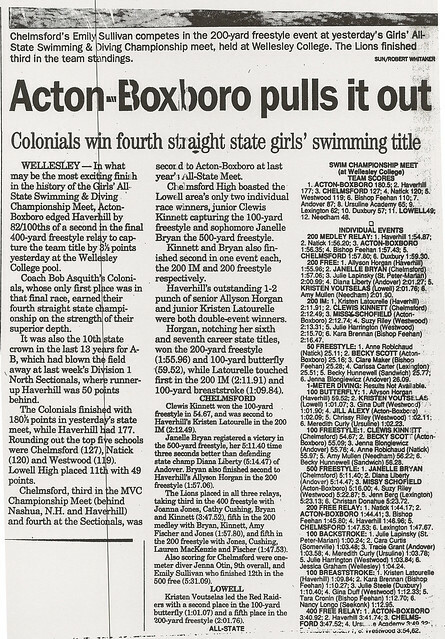 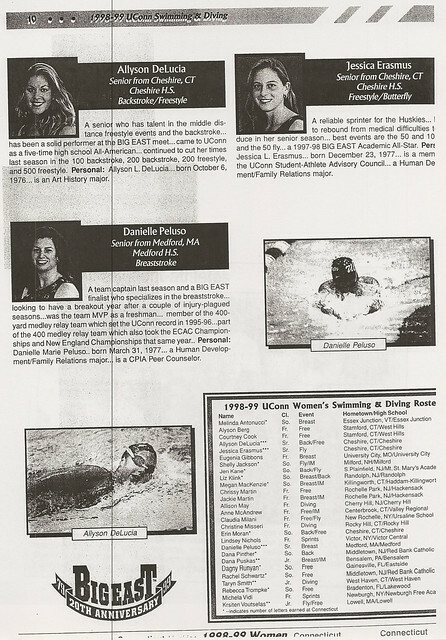 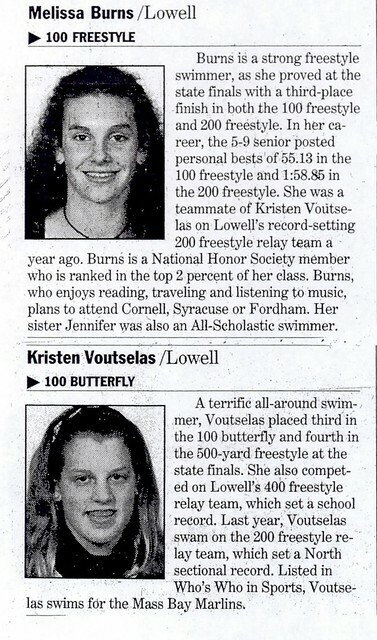 Kristen made an immediate impact on the Lowell High girls program as a freshman (1992), scoring points in both the 500 freestyle and 100 butterfly at the Merrimack Valley Conference Meet and also at the North Sectional and Massachusetts State Championship Meets. 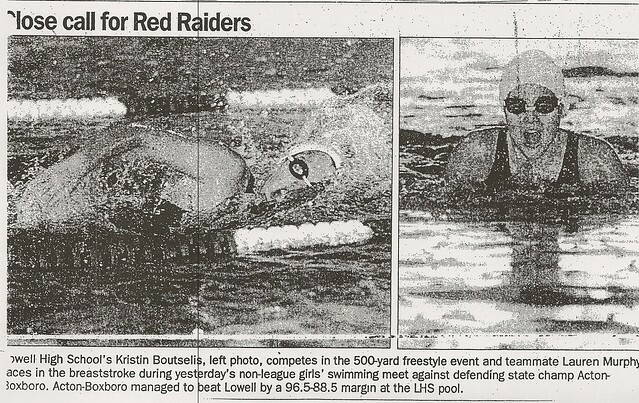 She was also a member of the Raiders’ school-record setting 200 freestyle relay team. 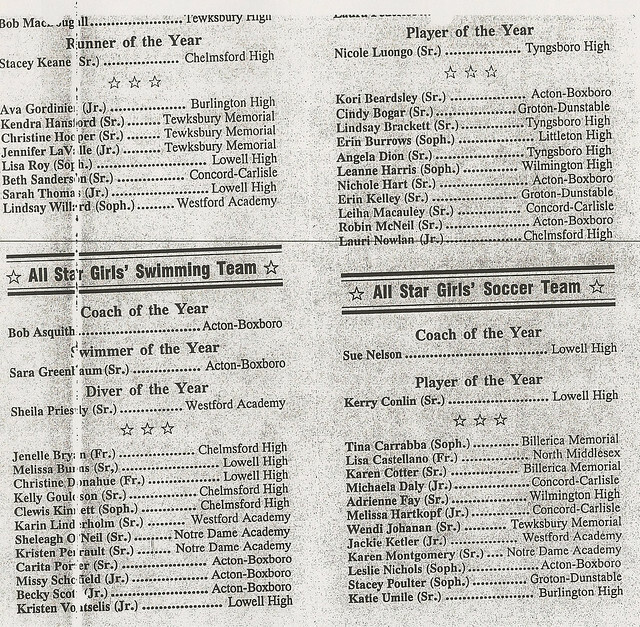 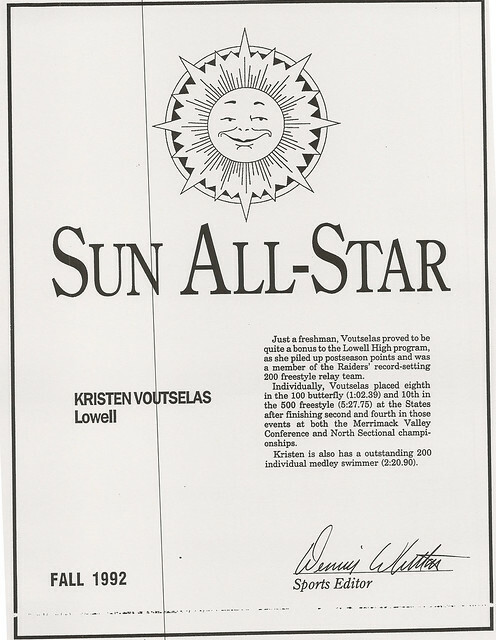 Kristen was named as a Lowell Sun All-Star at the conclusion of the season. 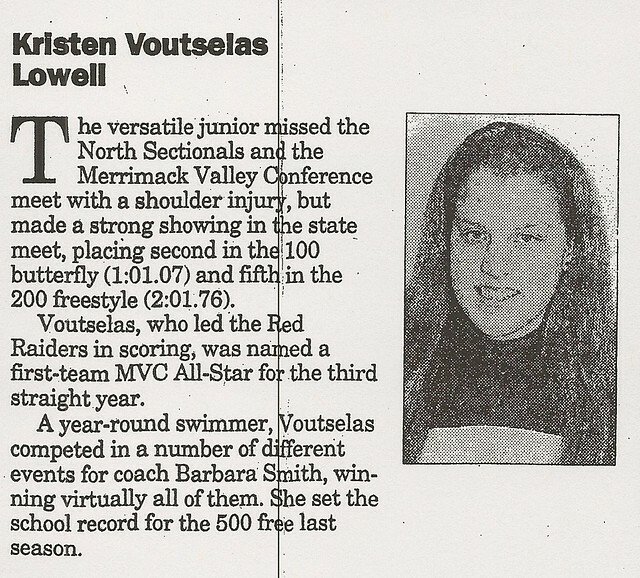 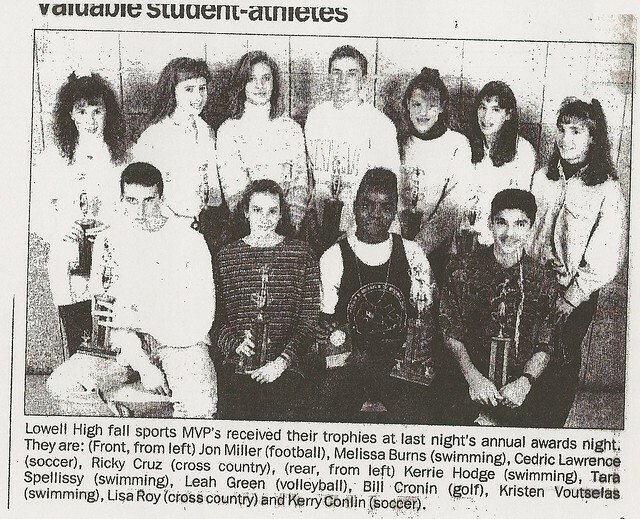 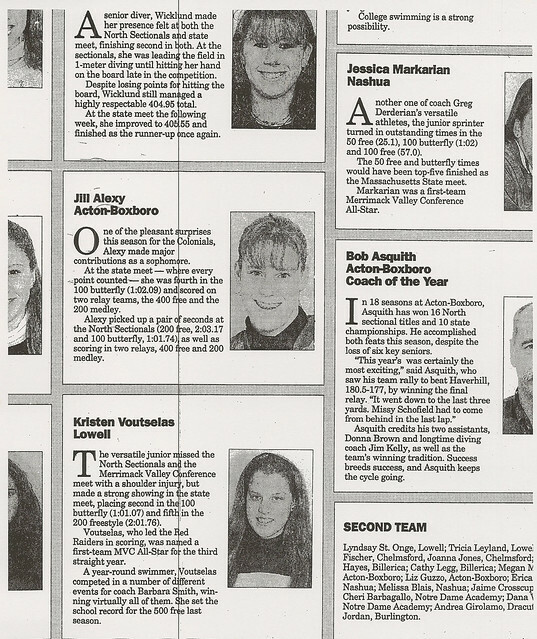 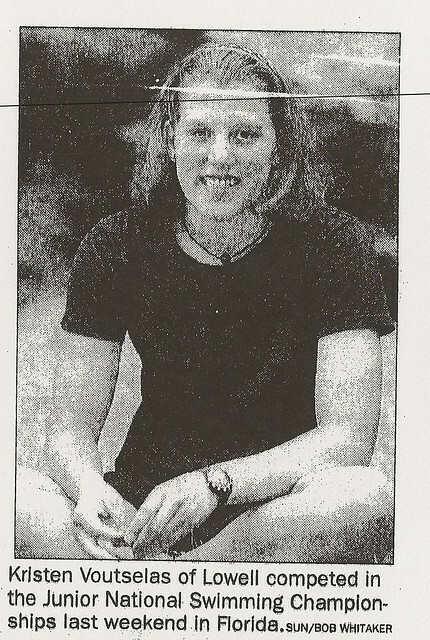 As a sophomore (1993), Kristen enjoyed continued success. 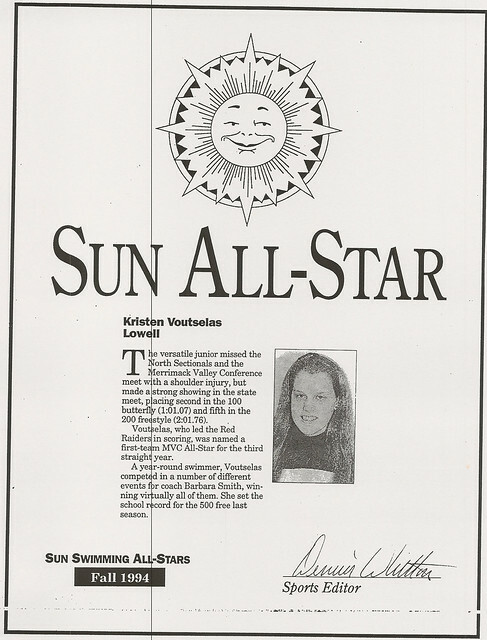 She placed 3rd in both the 200 individual medley and the 100 butterfly at the MVC Championships and 4th in both events at the North Sectional Meet. 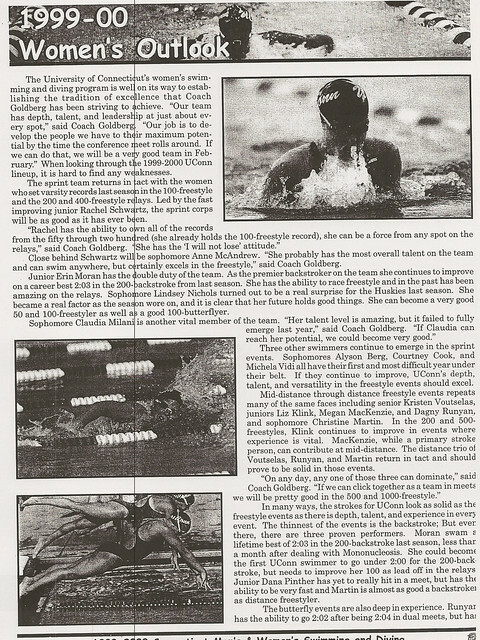 She culminated her season by placing 3rd in the 100 butterfly and 4th in the 200 IM at the State Championship Meet. 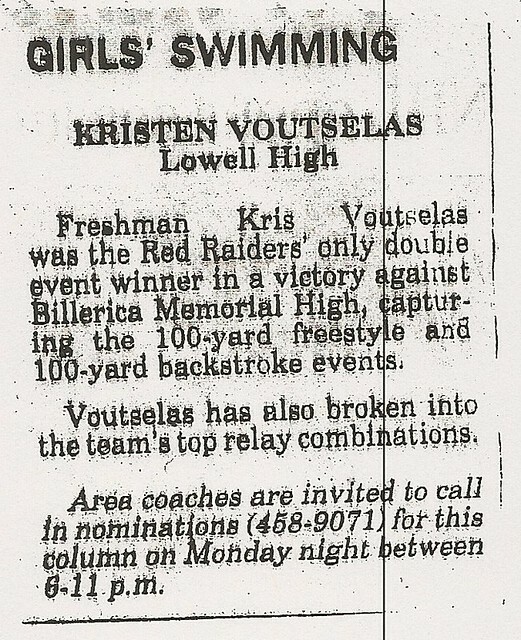 Kristen was again named to the Lowell Sun All-Star team. 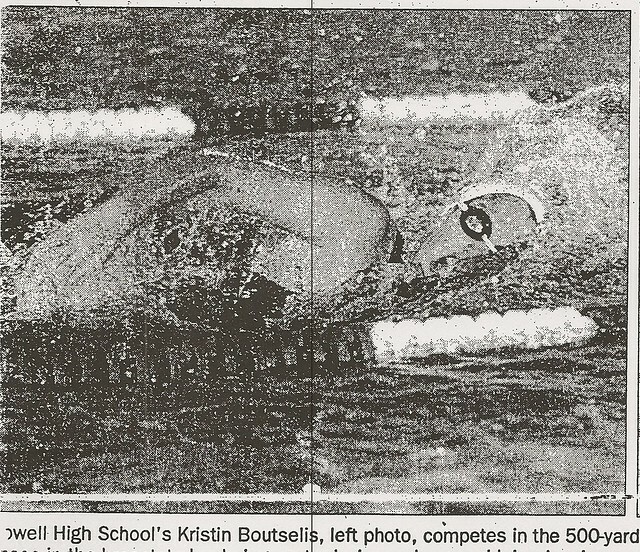 During Kristen’s junior year (1994), she courageously fought off a shoulder injury to place 2nd in the 100 butterfly and 5th in the 200 freestyle at the State Championship Meet. 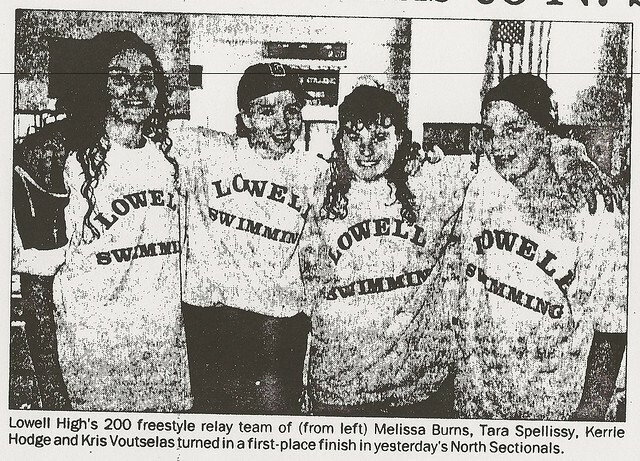 During the season, she broke the Lowell High School record in the 500 freestyle and was a member of the 4×200 freestyle relay team that broke the North Sectional Record. 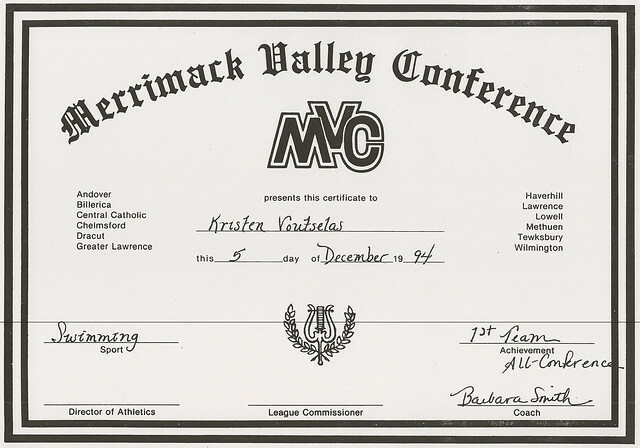 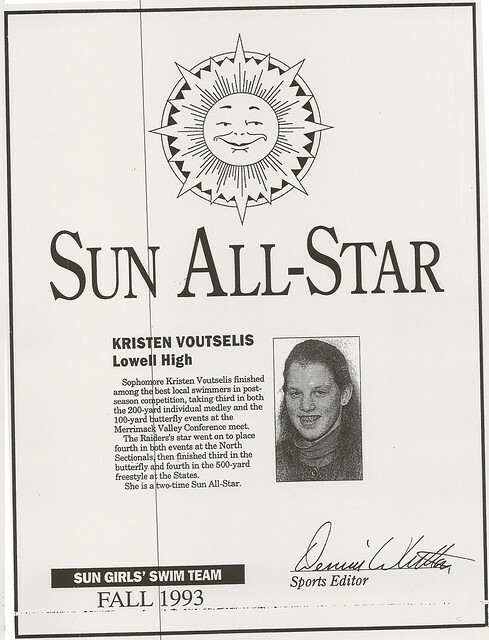 Kristen was named to both the Lowell Sun and MVC All Star teams for the third consecutive year. 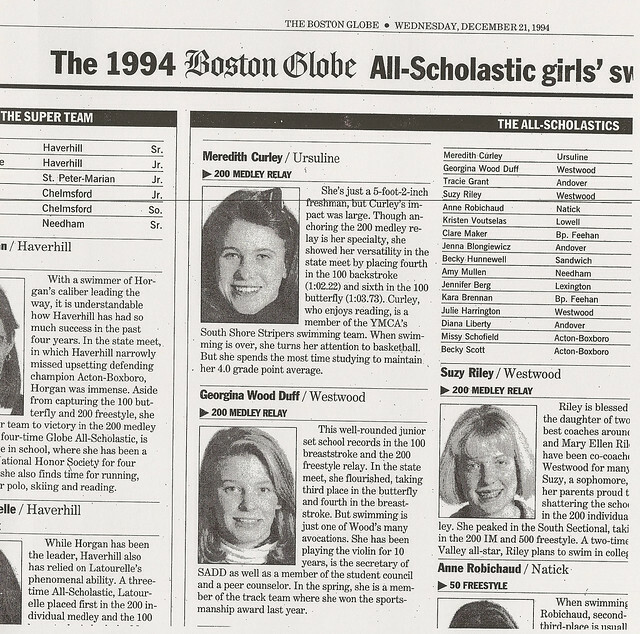 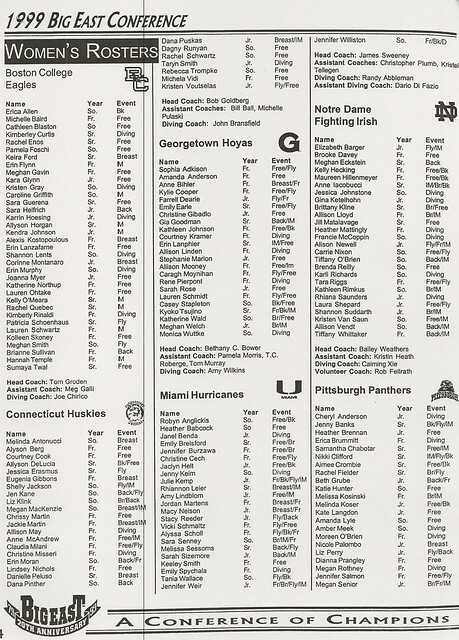 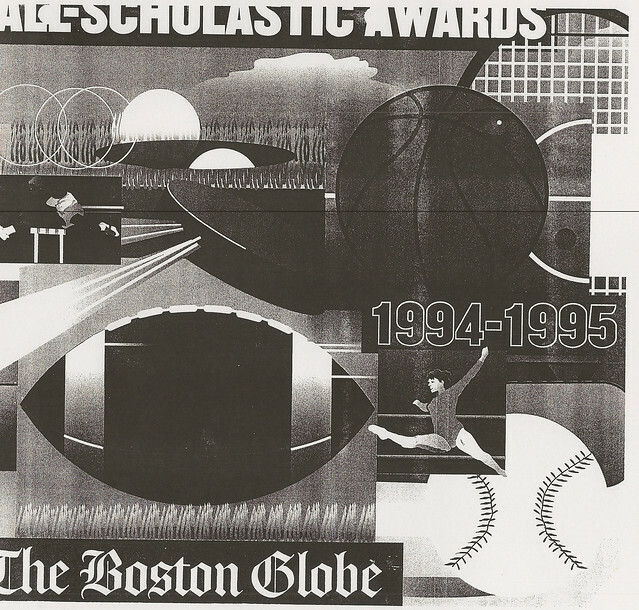 She culminated her season by being named to the Boston Globe All-Scholastic team. 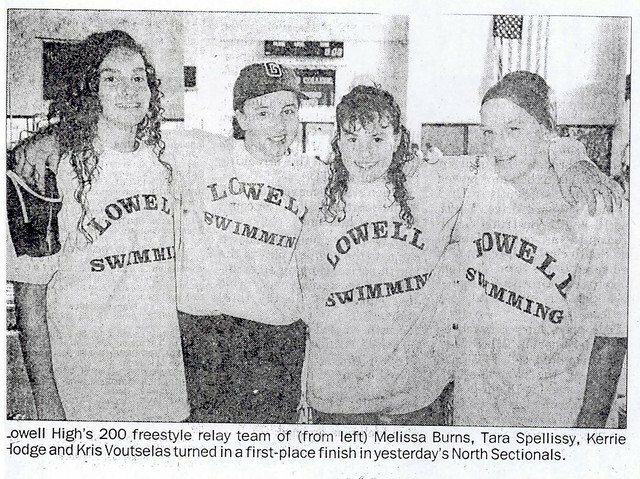 Kristen finished her career at Lowell High School as a school record holder in the 500 freestyle and as a member of both the 200 freestyle and 400 freestyle relay teams. 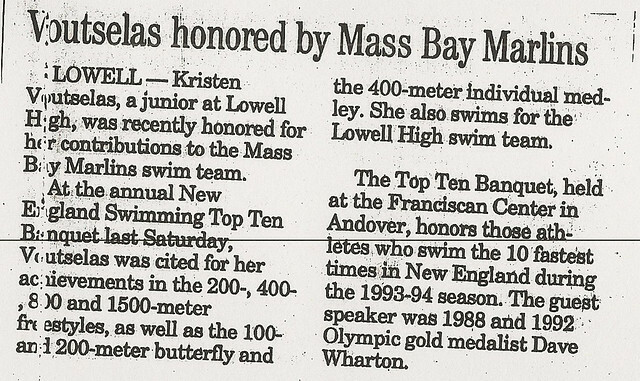 During her high school off-seasons, Kristen competed for the Mass Bay Marlins team, earning 18 U.S. 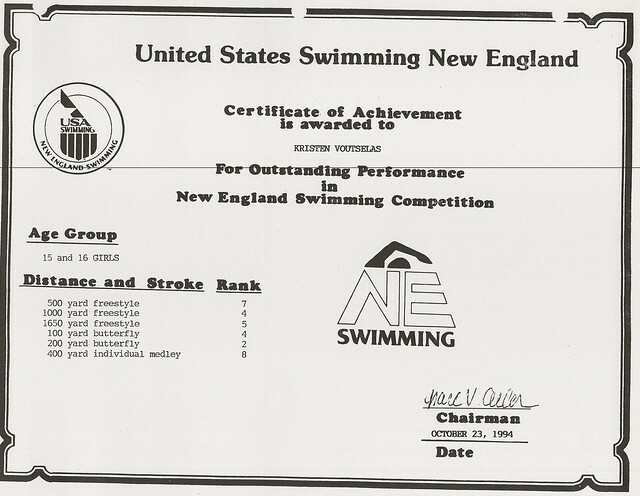 Swimming New England top ten rankings in a variety of events. 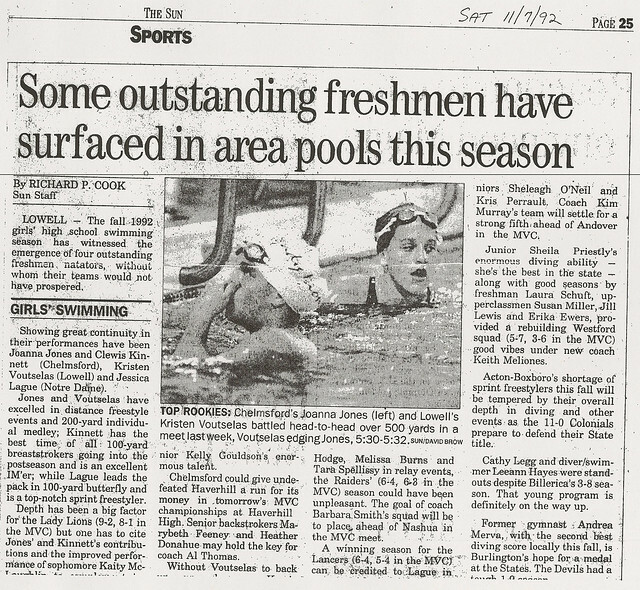 She also qualified for and competed in the U.S. 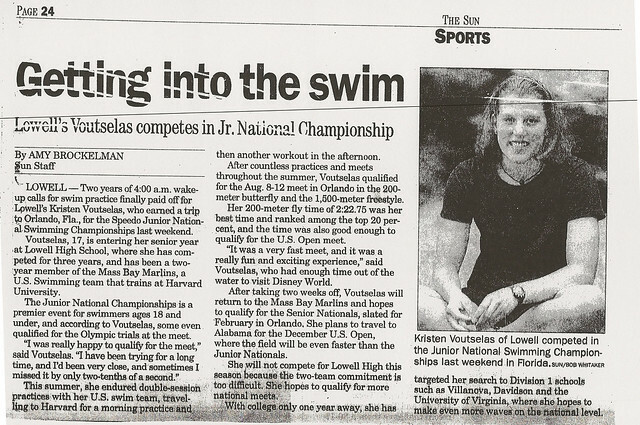 Junior National Championships in Orlando, FL., in the 200 butterfly and 1650 freestyle. 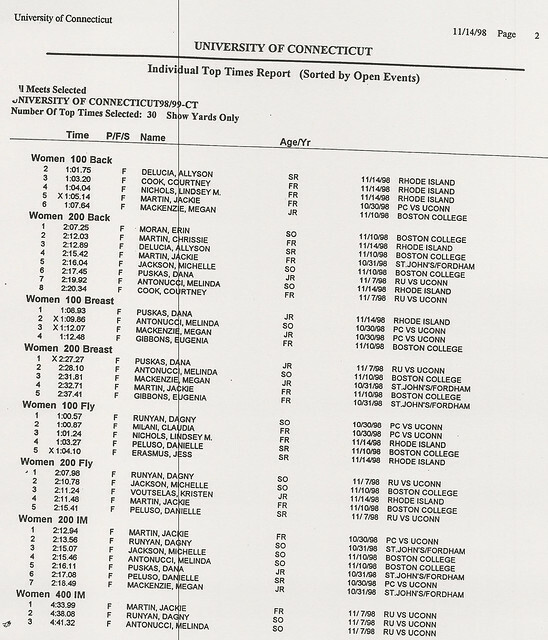 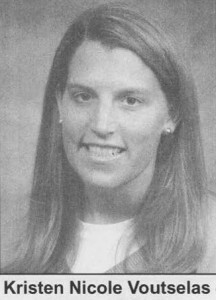 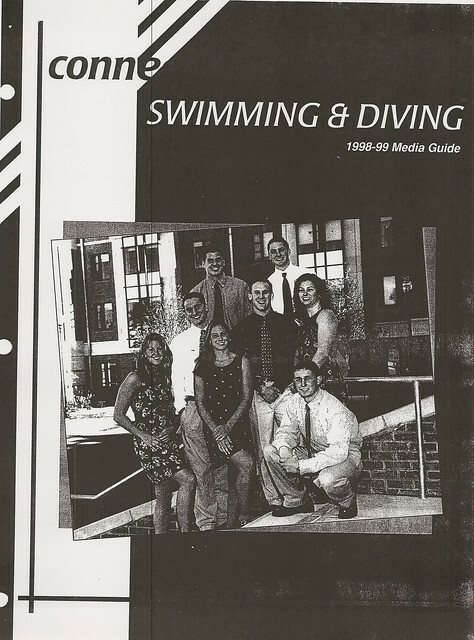 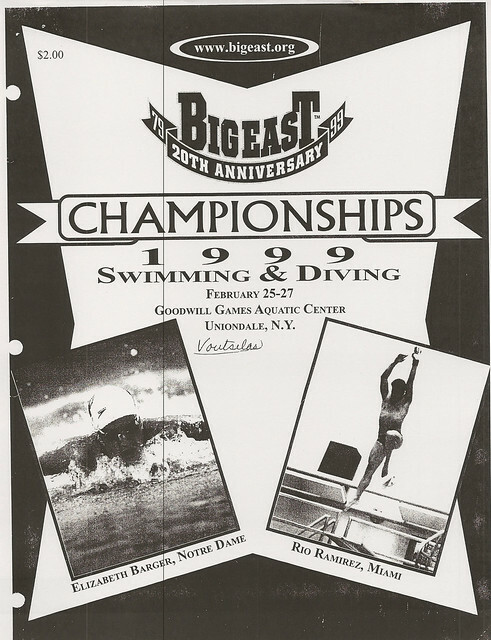 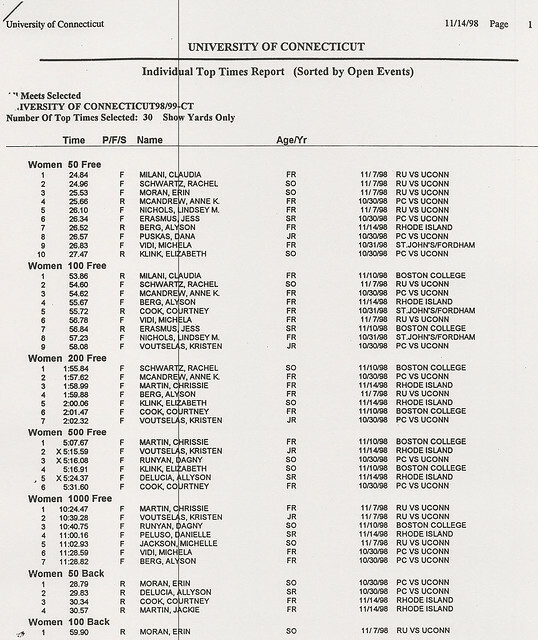 After graduation, Kristen matriculated at the University of Connecticut, where she was a member of the swim team for four years (1996–2000). 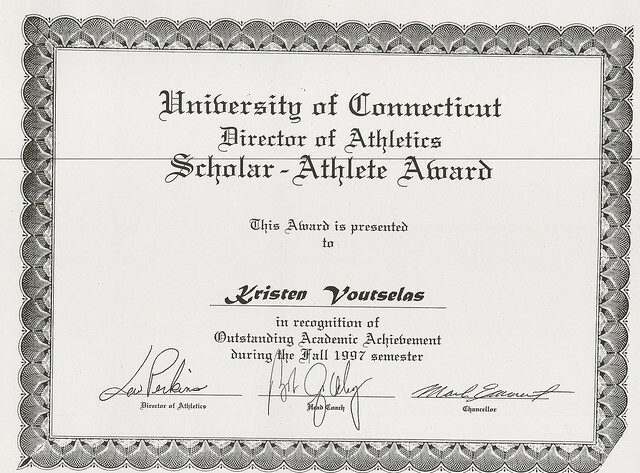 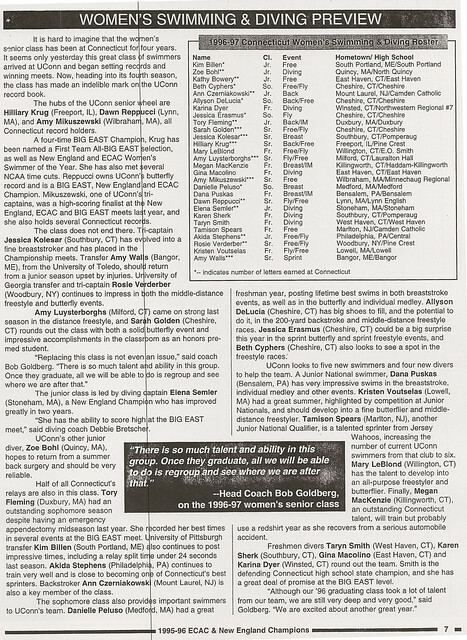 Kristen made significant contributions to the UConn program. 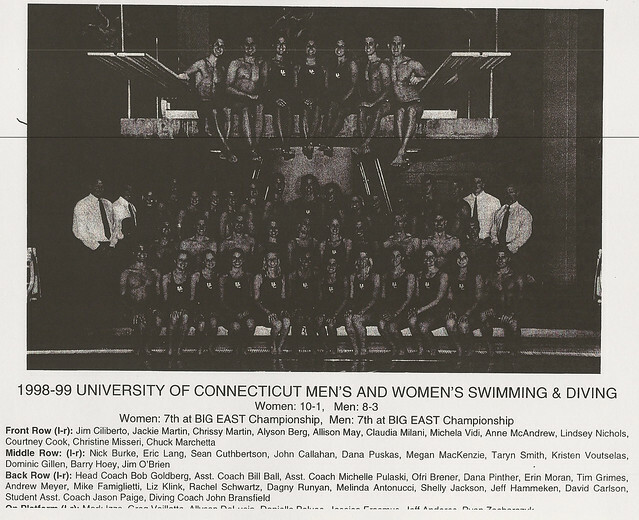 She competed at the Big East Championships during each of her four years on the team. 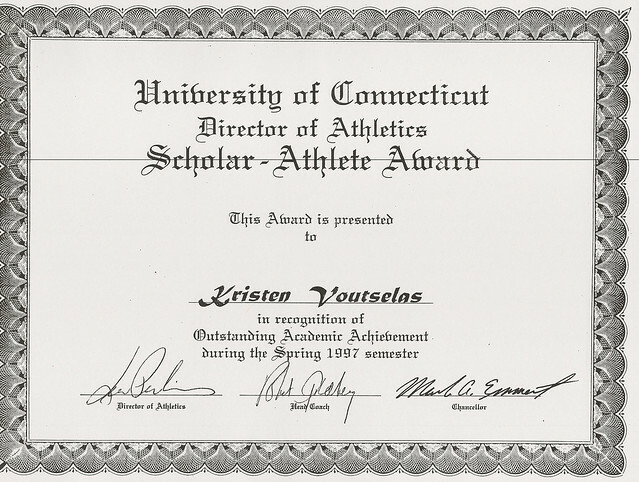 Kristen also won two coveted Scholar-Athlete Awards as a member of the Huskies.